My College To Do List & My College Money! Good Morning Green Panda Friends! Today marks the second day of my week long vacation and the second post in our Going Back to College Savings series. Today we are discussing saving money for college students as well as our college to do list. Some of you may be getting ready to head off to college for your first semester, and some of you may be returning students. If you are a returning student we would love for you to share your money strategies for college students as well as what’s on your college to do list. Before the college semester starts we need to make a personal budget and make sure that we have enough money to pay for college. There are many different ways for college students to get money. The first and most obvious way for college students to get money is to find a part time job. I worked part time and full time during my 4 years of college. During my first year of college I worked part time in a retail store. I made great friends that I still keep in contact with today. Working part time during college gave me a steady income and it also helped me make new friends in my new city. During my second year in college I worked part time in a call center for a bank. This is when my banking career started. I enjoyed the flexibility of working in a call center, and I liked working with other students who were also working and studying at the same time. In my third and fourth year of college I worked full time at the bank while studying. It was hard and at times my grades definitely suffered, but the experience and career opportunities that I gained were definitely worth it. An alternate (or additional) money option for college students is an education savings plan. This type of savings plan is usually set up by a parent or a grandparent to save for a Childs education. The money in an education savings plan can be used for any and all expenses, from college tuition and books to rent and groceries. I was fortunate enough to have an education savings plan that was set up by my parents, and to this day I can never thank them enough for their contributions. I used the money from my education savings plan to pay for tuition and books. My housing, monthly bills and personal spending were all at my own expense; this is why I worked while attending college. Before the new college semester starts there are several things that we should do in order to prepare. First, I suggest that we visit our campus prior to the first day of school. This will ensure that we know where to find all of our classes and help determine the amount of travel time between each class. There is nothing worse than being late on our first day and making a bad first impression that could haunt us for the rest of the semester. Another item on our college to do list is to get our books prior to the first day of the semester. College professors often post their required reading book list prior to the first day of class. I always tried to get my books prior to the first day of class for two reasons. First, I hate waiting…for anything. The second reason is that the used (and cheaper) books always sell out first. I hate paying full price for a book that I am only going to use for one semester. These are just a couple of important things that were on my college to do list. Our college years are supposed to be the best years of our lives (so they say) and we should definitely try to experience new things. 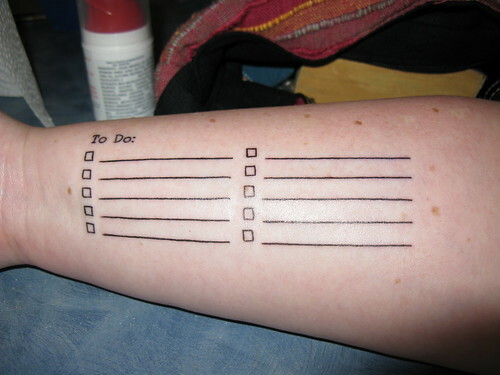 What is on your list to do (not your to do list) before graduating from college?